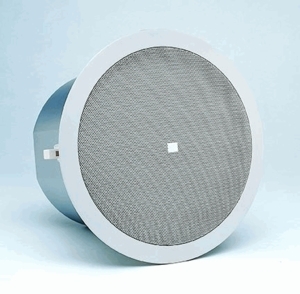 The unique Nested-Chamber design and Linear Dynamic� port of the JBL Control 19CS subwoofer allows powerful low-frequency reinforcement from a compact in-ceiling enclosure. The Control 19CS is an ideal addition to any system, resulting in full-fidelity, high level sound. The Control 19CST has a special subwoofer band transformer for use on 70V or 100V line distribution systems. Control 19CST 100V taps: 60W, 30W, 15W.